Funcom celebrates legacy of first Sci-Fi MMORPG with new 2019 server bringing back a vintage Anarchy experience. 18 years! Who would have thought? 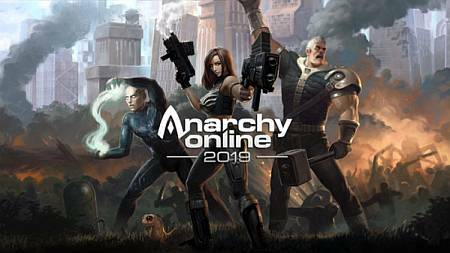 Funcom is excited to announce that Anarchy Online, the world’s first science fiction MMORPGs and one of the longest-running online games ever, celebrates its epic 18-year journey with the launch of a brand-new 2019 server. The new server invites members to experience a fresh start – a trip down memory lane, to the early days of Rubi-Ka. Back to level one, in a leet-filled backyard. Dole out punishment on unsuspecting roller rats; take a walk on the Longest Road; or go AFK by a grid terminal for an unnecessarily long time. Get drunk on nostalgia; or, if that doesn’t work, you can always grab a drink at Reet’s Retreat. A level cap system is in place, and the community at large will have a say in the pulse and progression of the new 2019 server – both in terms of expansion releases and level cap increases. Everyone’s steering this ship together! Read more about the AO2019 server here!